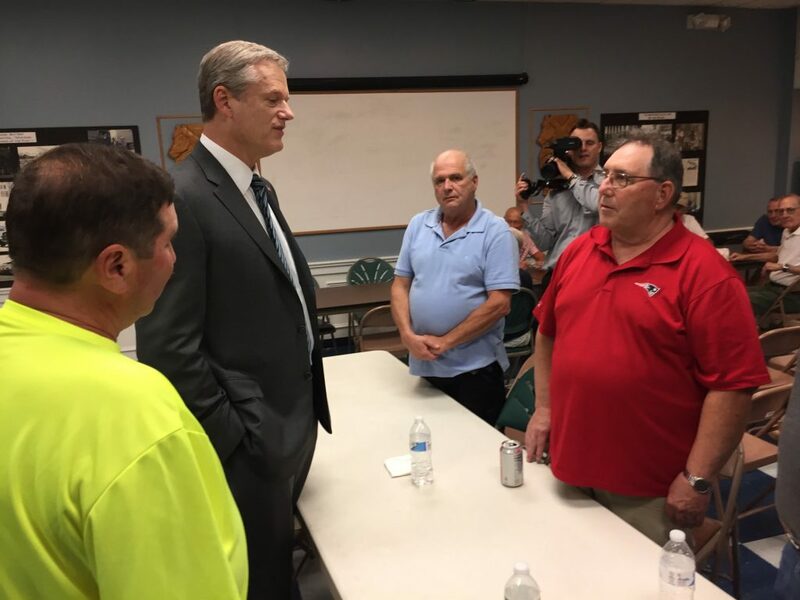 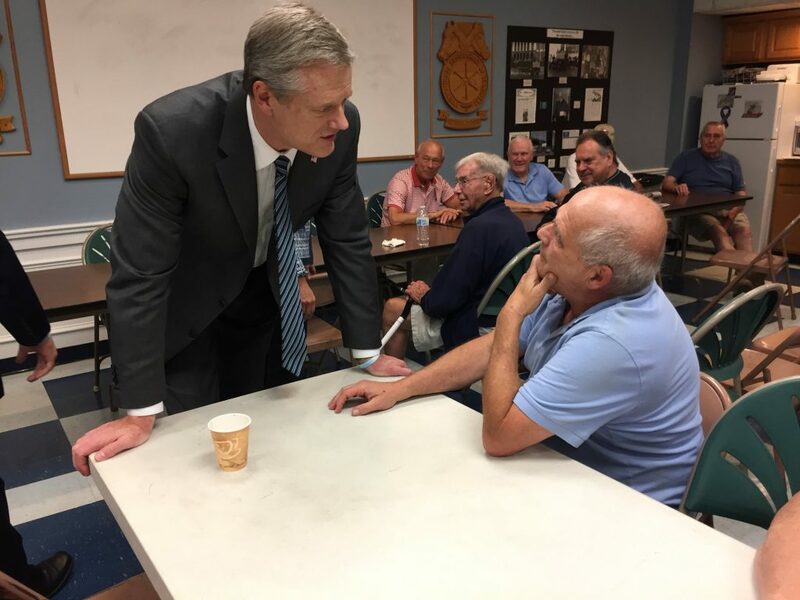 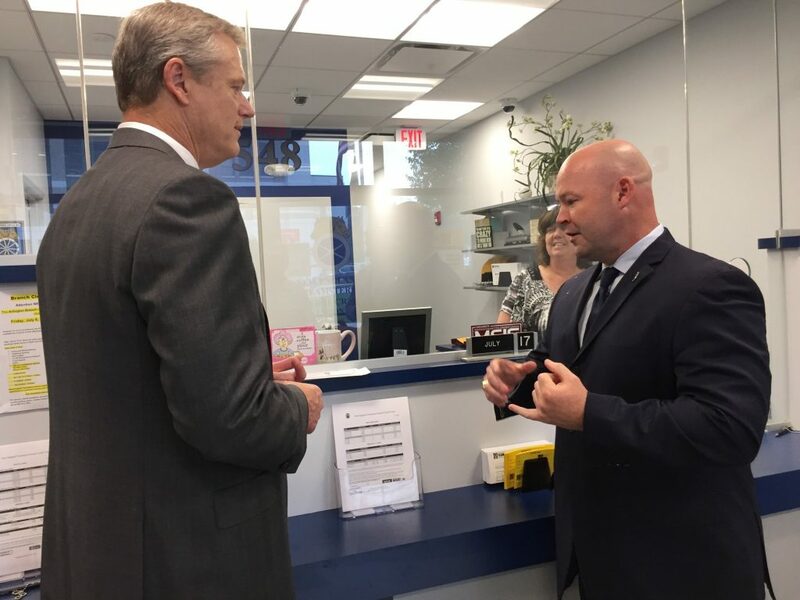 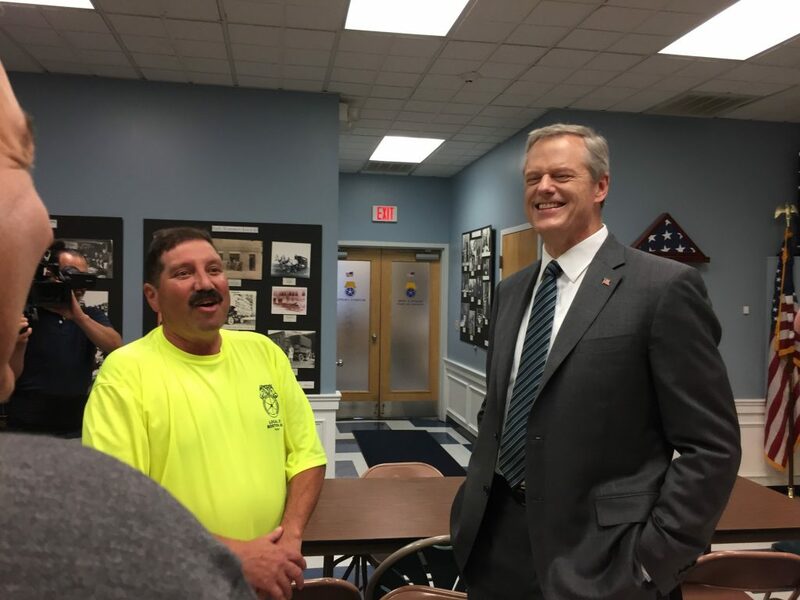 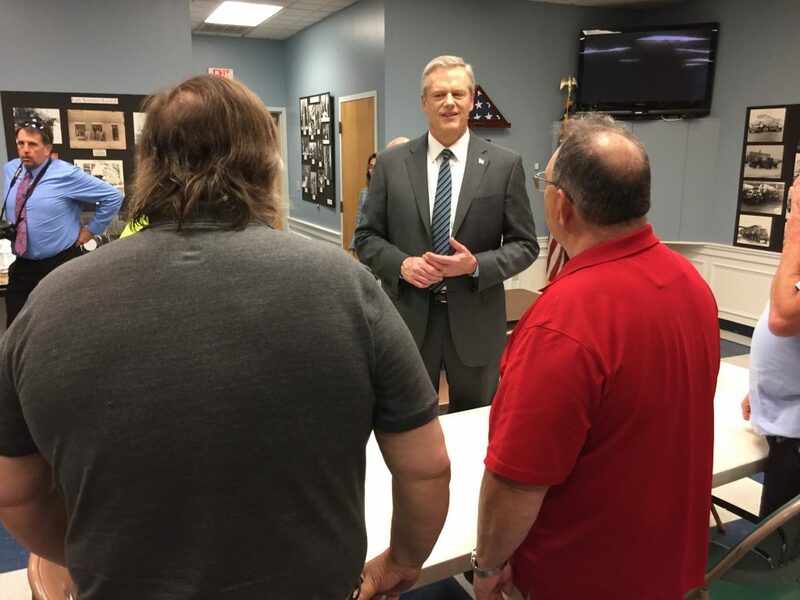 Following a meeting with Joint Council 10 Secretary-Treasurer and Local 25 President Sean O’Brien, Massachusetts Governor Charlie Baker and Lt. 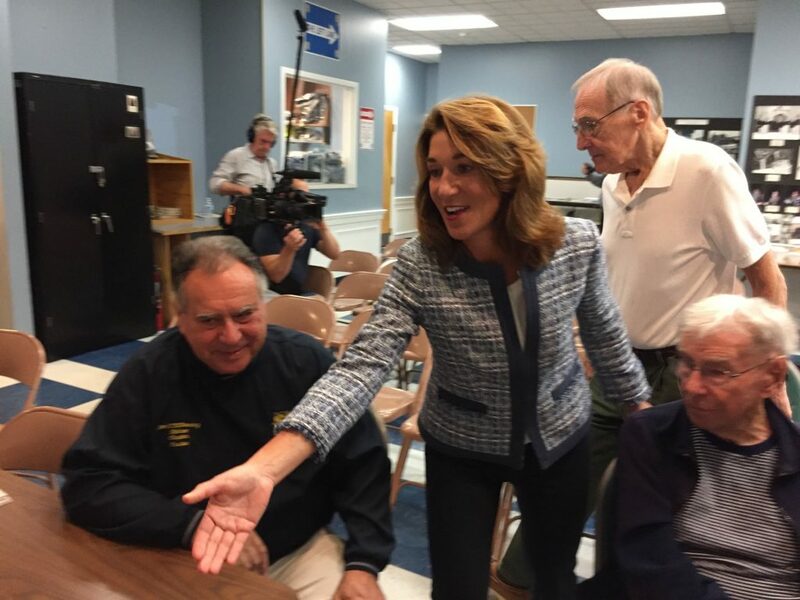 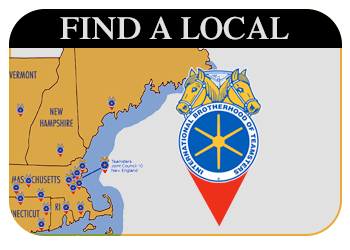 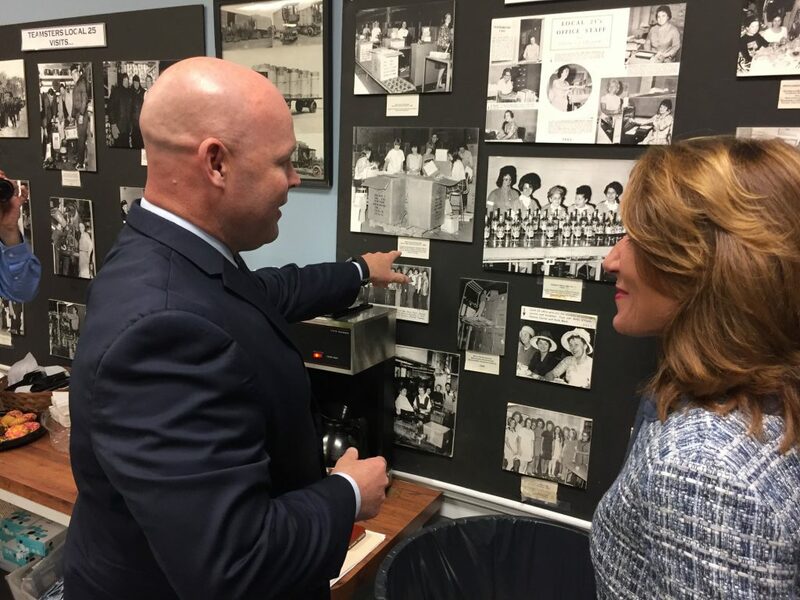 Governor Karyn Polito took time to tour the Local 25 union hall and facilities. 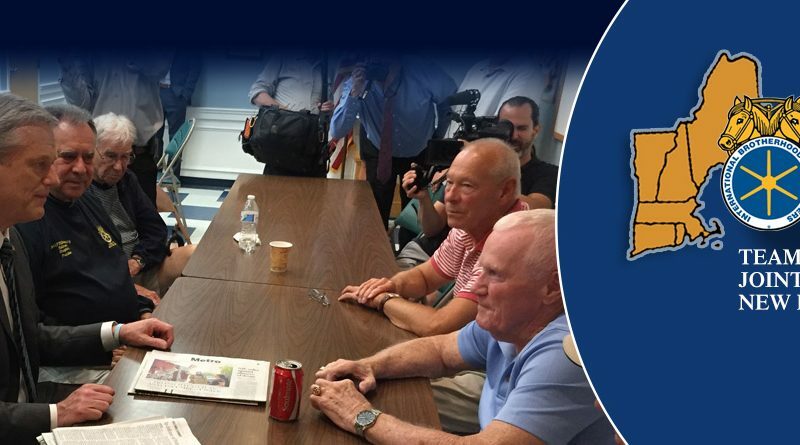 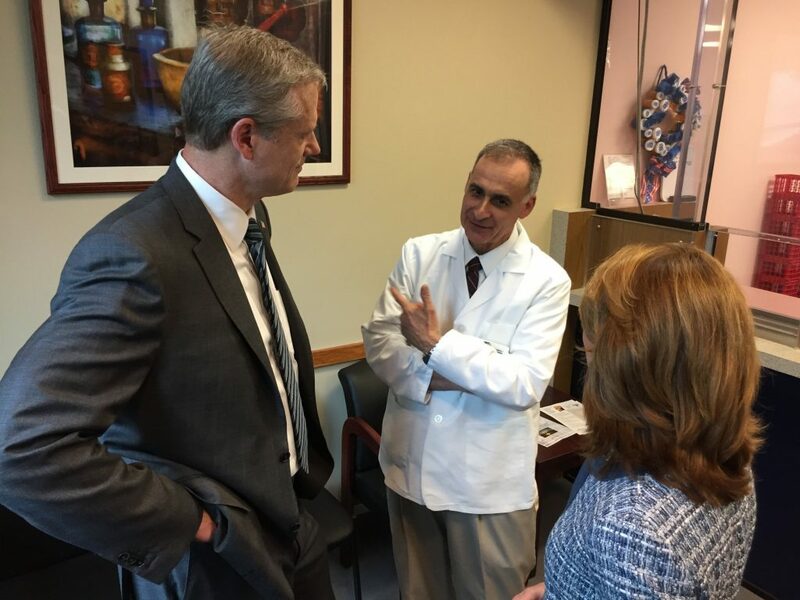 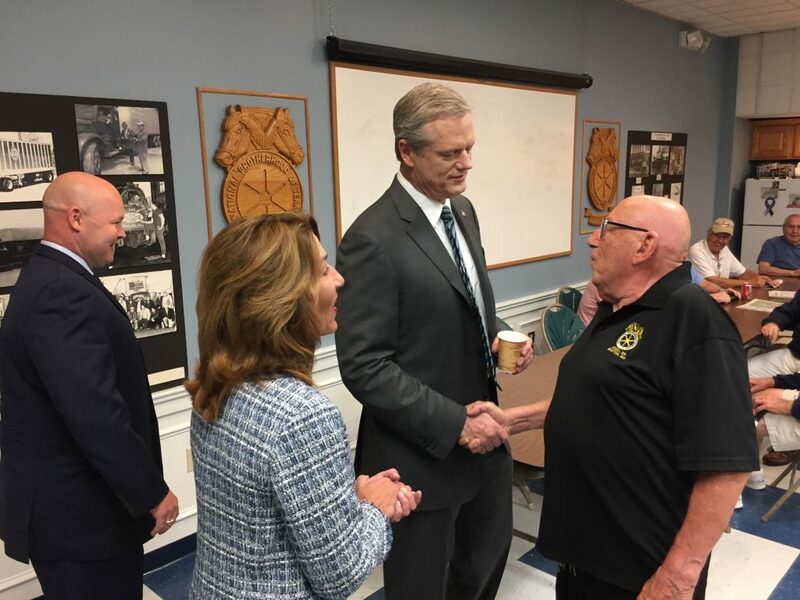 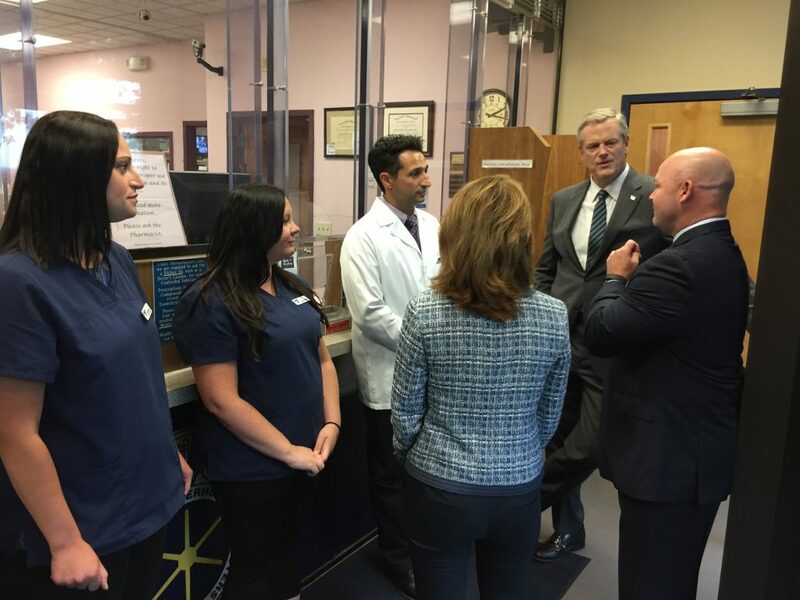 Baker and Polito met with staff from the local and joint council offices, the New England Teamsters Federal Credit Union, the union pharmacy and health and welfare fund for more an hour yesterday afternoon. 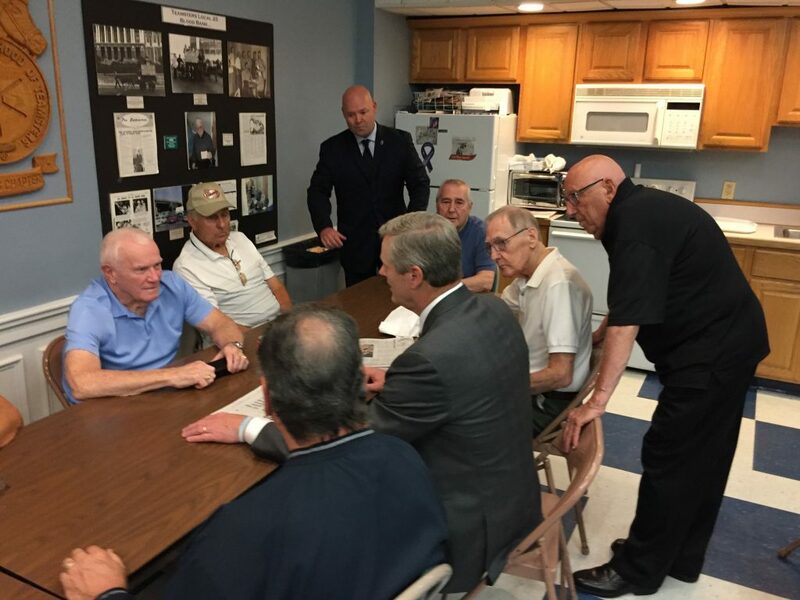 The highlight of the trip was time spent with the Local 25 Day Room where union retirees gather daily. 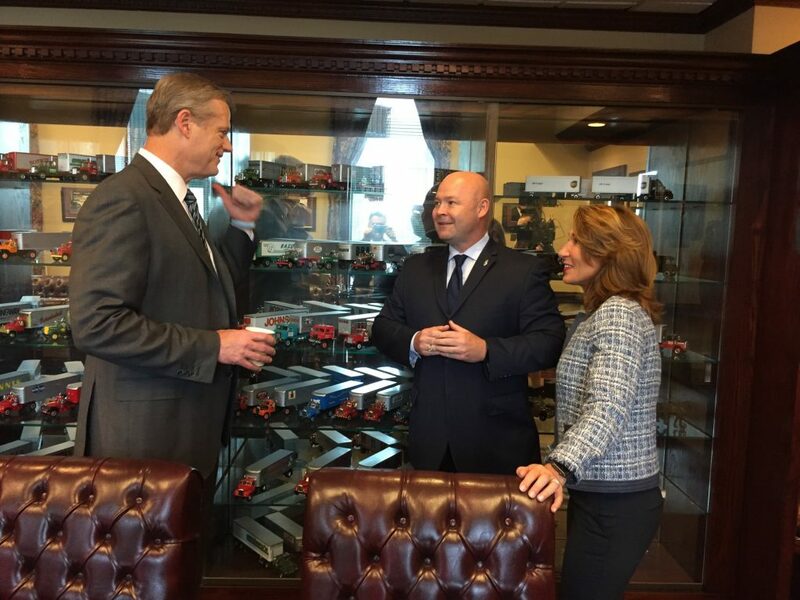 The Governor and Lt. 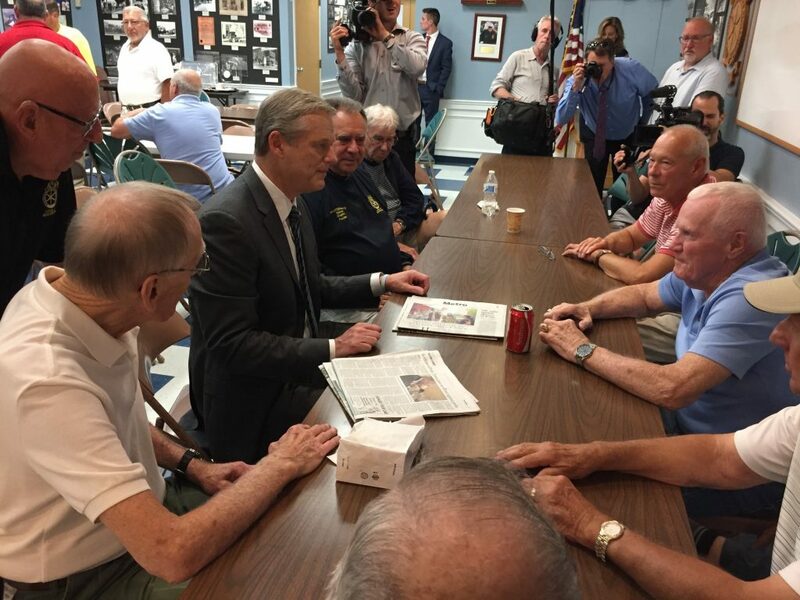 Governor saw the displays of union history that cover the hall’s walls and heard history first hand from the retirees.